What a beautiful day. Compared to last year’s Arctic conditions. Today was a day from God. The hopeful and the hopeless (aka Stewart Connolly, Liam Conroy and John Ferris) assembled at Doon Shore this morning. All bright eyed and full of aspirations of claiming the Top Prize. I always admire the positive attitude of Fishermen and women. Numbers were up on last year, probably due to the good weather. Joe Tighe was decked out as if he were heading for some fashion catwalk in Cannes whilst Derek Dooley was decked out like some North American Serial Killer. Within the first hour, 3 large fish were caught. Tension was reaching fever pitch amongst the fishing fraternity. Around lunchtime, the hopeless decided to cut their losses and get food from the wonderful hardworking Ann and her side-kick, the surprisingly sober Jordan Maye. 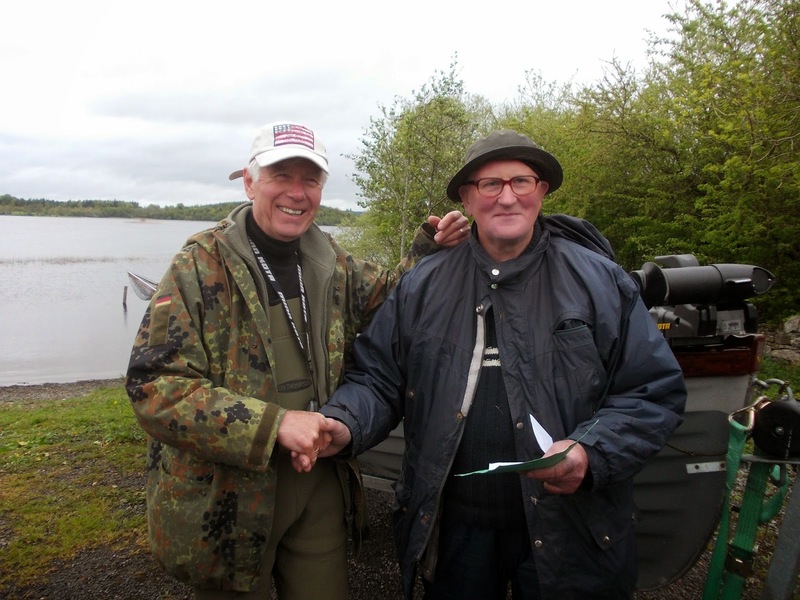 After lunch they all trudged back out onto the lake looking for that elusive catch that could make them €2,500 richer. The good news this year is that the amount of fish caught today was twice as high as the entire weekend last year. 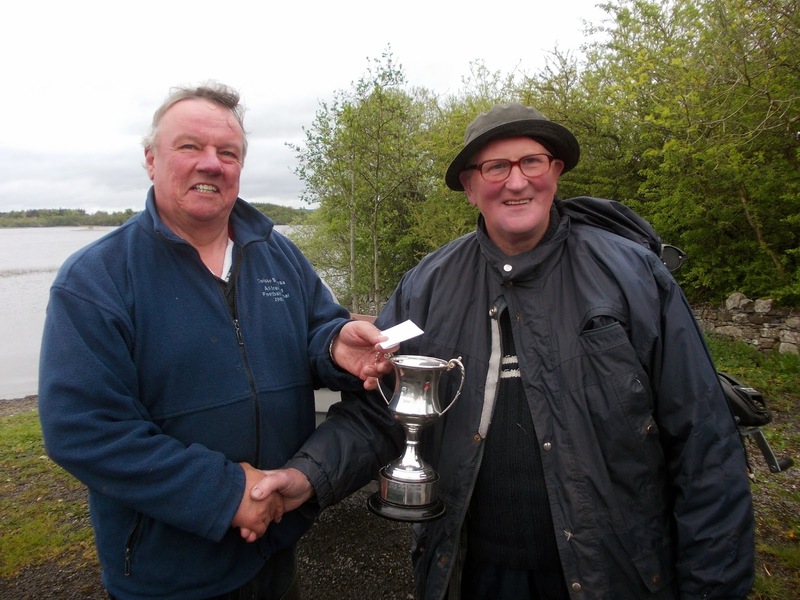 And there was plenty of heavy fish caught, none though by our Mouthy Scouser, Liam Mitchell. Thanks for the buns though, Liam. This year, was poignant, in that it was the first year we were without Doreen Caldbeck who sadly passed away recently. The food from the Kitchen was given out and people were asked to make a donation to a local Cancer Charity. A truly excellent idea. 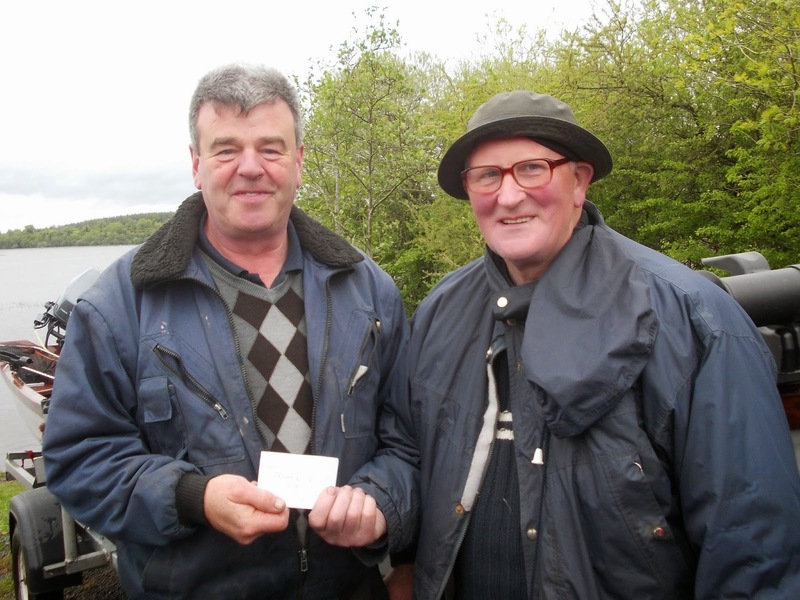 After Day 1, Paddy O’Neill from Mullingar, leads the pack with a fine fish of 19lbs. This can be beaten. So where there is life, there is hope. One thing that crossed my mind today, was that it was unusually quiet at Doon Shore. It wasn’t until the afternoon that I clicked it. Eamon Conroy wasn’t there. I think a search party is called for here. Onto tomorrow, where Stewart Connolly’s inability to affect The Leaderboard will continue……….